A superconducting radio-frequency cryomodule installed in the NSLS-II ring. No image credit. When you think about the coldest places on Earth, the National Synchrotron Light Source II (NSLS-II), a U.S. Department of Energy (DOE) Office of Science User Facility located at the DOE’s Brookhaven National Laboratory, probably doesn’t come to mind. But accelerating electrons around the half-mile-long ring of NSLS-II at nearly the speed of light requires some extremely cold temperatures, hundreds of degrees below the freezing point of water. Supercool temperatures mean super cool science research can go on. 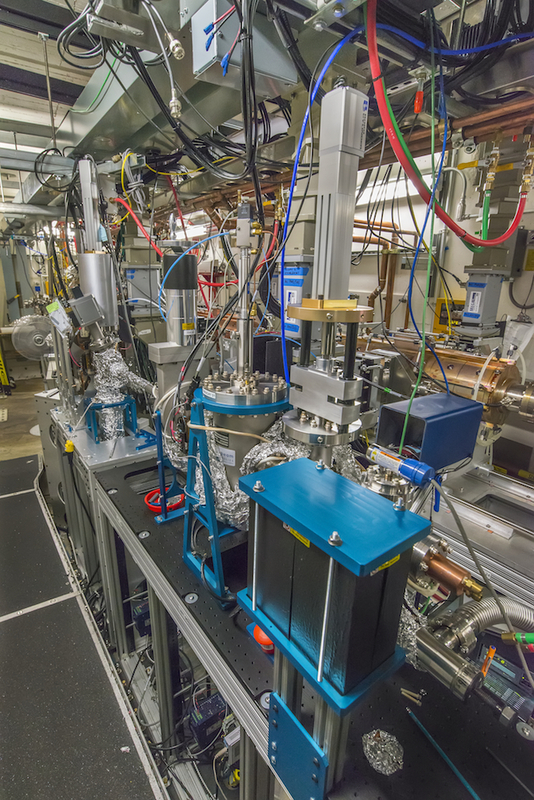 As electrons circle around NSLS-II’s ring, they emit extremely bright X-rays that scientists use to image materials, such as soil samples, batteries, and biological proteins. “The images are not necessarily photographs, but spectrum, absorption lines, or diffraction patterns,” explained James Rose, head of the Radio Frequency Systems Group for NSLS-II. By studying the fluorescence, diffraction, scattering, and absorption of X-rays, scientists can uncover a material’s atomic structure, which gives rise to its chemical, electronic, and structural properties. From examining soil samples to understand the uptake of chemical runoff, to watching in real time as batteries operate to discover where and how materials inside break down, to examining the structure of biological proteins to help design new drugs for treating disease, scientists at NSLS-II probe the inner workings of various kinds of materials. In producing these X-rays, the electrons lose energy and slow down. For the electrons to continue generating the high-power X-ray beams used by scientists from around the world to image materials, this energy must be replenished. When cooled to an extremely low, or cryogenic, temperature, the niobium in the RF cavity becomes superconducting—that is, it loses nearly all resistance to an electric current. As a result, electrons can flow freely through the cavities. If niobium were conducting electricity as it would at room temperature, there would be a large resistance to the flow of electrons. When electron flow is resisted, the electrical energy that moves the electrons is converted into heat energy—a waste product. Without this resistance, electricity can be delivered to the cavity much more efficiently. “If the cavities were not superconducting, almost seven times more energy would be required to keep the electrons flowing to produce high-intensity X-ray beams,” said Rose. The superconductivity not only reduces energy loss in the cavities but it also provides for electron beam stability. “Because we don’t need to worry about keeping resistive losses low, we can design the cavities with a large aperture that allows resonant frequencies above the cavity’s tuned frequency to leak out of the cavity into absorbers that damp, or reduce the amplitude of, the higher-frequency oscillations. If these higher frequencies were not damped, they would add and subtract energy from the beam out of sequence. That’s like pushing the child on the swing randomly, causing the swing to slow down or stopping the child short at the highest speed,” explained Rose. At NSLS-II, the RF cavities are continuously immersed in liquid helium, which, with the help of liquid nitrogen, cools niobium to its superconducting state. The cavities are installed within cryomodules, which are essentially vacuum-insulated containers like thermos bottles that maintain the ultra-cold temperatures of the liquid helium to allow for near-zero electrical resistance within the RF cavity. 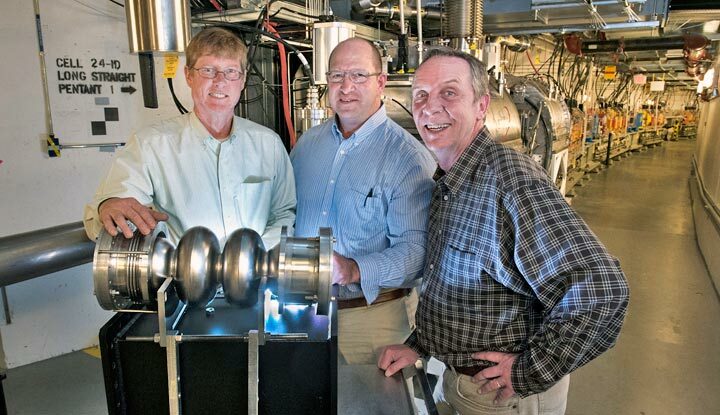 Brookhaven Lab staff members (left to right) James Rose, John Gosman, and William Gash with one of the two electron bunch–lengthening radio-frequency cavities that will be installed at the National Synchrotron Light Source II (NSLS-II). By reducing the number and intensity of collisions between electrons circling the NSLS-II electron storage ring, these cavities will help prevent electron beam loss and thus extend the lifetime of the beams used to conduct experiments. Cooling helium gas into a liquid is a multistep process. First, the gas is squeezed in compressors. As the gas molecules are forced into a smaller volume, the pressure and temperature of the gas rise. The gas is then fed into an insulated enclosure called a cold box, where three fast-moving expansion turbines liquefy the gas by reducing its pressure, causing the gas molecules to spread apart. This rapid expansion causes the gas to cool and a portion of it to liquefy. Once liquefied, the helium is stored in a large vacuum-insulated container and distributed through insulated piping and control valves directly into the cryomodules to surround the RF cavities. The remaining cooled gas is returned to the cold box, where it flows through heat exchangers to precool the incoming high-pressure gas before being sent to the compressor to start the cycle again. In the next five years or so, additional superconducting RF cavities and valves will be installed. “This installation will provide the RF power needed to support more beams and thus more experiments at NSLS-II,” said Rose. Two of the cavities will be electron bunch–lengthening cavities, which “lengthen” the bunches, or groups, of electrons traveling around the ring. In dense bunches, electrons circling the ring undergo collisions with other electrons in the bunch. “Imagine dancers that bump into one another on a crowded dance floor,” said Rose. Using a high-speed X-ray camera, an international team of scientist including researchers from DESY has revealed the ultrafast response of a biosensor to light. The study, published* in the US journal Science, shows light-driven atomic motions lasting just 100 quadrillionths of a second (100 femtoseconds). The technique promises insights into the ultrafast dynamics of various light sensitive biomolecules responsible for important biological processes like photosynthesis or vision. 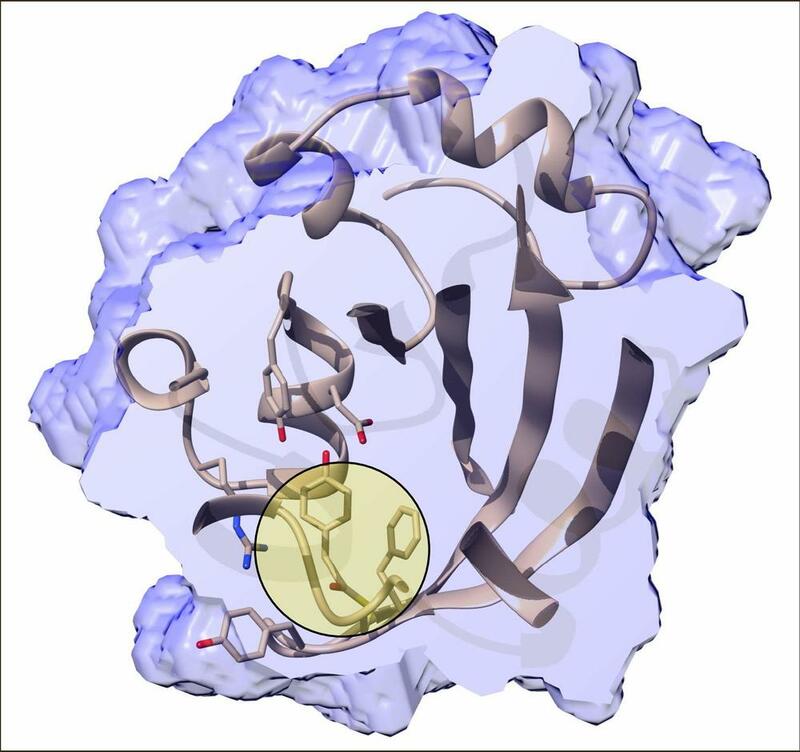 The team lead by Marius Schmidt from the University of Wisconsin, Milwaukee used the LCLS X-ray laser at SLAC National Accelerator Laboratory in the U.S. to look at the light-sensitive part of a protein called photoactive yellow protein, or PYP. It functions as an “eye” in purple bacteria, helping them sense blue light and stay away from light that is too energetic and potentially harmful. For their investigation, the scientists sent a stream of tiny PYP crystals into a sample chamber. There, each crystal was struck by a flash of optical laser light and then, almost immediately after, an X-ray pulse was used to interrogate the protein’s structural response to the light at the atomic level. The structure is determined indirectly from the intricate pattern of X-ray light scattered from the crystal. By varying the time between the two pulses, scientists were able to see how the protein morphed over time. “By placing the various obtained molecular structures in order of the time delay between the optical and X-ray flashes we obtain a molecular movie of the reaction as it evolves from the first step at 100 femtoseconds to several thousand femtoseconds,” explained the first author of the paper, Kanupriya Pande, also from the University of Wisconsin and now at the Center for Free-Electron Laser Science CFEL at DESY. “The absorption of light leaves PYP in an excited state from which it relaxes very quickly,” explained Schmidt, the study’s principal investigator. “It does so by rearranging its atomic structure in what is known as trans-to-cis isomerisation. We’re the first to succeed in taking real-time snapshots of this type of reaction.” This type of isomerisation is also what gives vision – in that case the retinal chromophore undergoes a cis-to-trans isomerisation that ultimately leads to neuronal excitation in the eye. 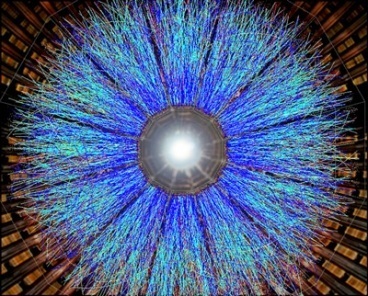 The researchers had already studied light-induced structural changes in PYP at LCLS before, revealing atomic motions as fast as 10 billionths of a second (10 nanoseconds). By tweaking their experiment with a faster optical laser and better timing tools and sorting, they were now able to improve their speed limit 100,000 times and capture reactions in the protein that are 1,000 times faster than any seen in an X-ray experiment before. The technique could prove valuable to unveil a number of other important ultrafast light-driven processes, for instance how visual pigments in the human eye respond to light, and how absorbing too much of it damages them; how photosynthetic organisms turn light into chemical energy, a process that could serve as a model for the development of new energy technologies; or how atomic structures respond to light pulses of different shape and duration, an important first step toward controlling chemical reactions with light. Together with the University of Wisconsin, Milwaukee, SLAC and DESY, the following institutions were involved in this study: Imperial College London, the University of Jyväskylä in Finland, Arizona State University, Max Planck Institute for Structure and Dynamics of Matter in Hamburg, State University of New York at Buffalo, University of Chicago, Lawrence Livermore National Laboratory and University of Hamburg. The first of several ultraflat mirrors is a milestone of a rigorous research and development effort. A 95-cm long mirror that is more precise than any other yet built was delivered to European XFEL, an X-ray laser research facility that is under construction in the Hamburg area of Germany. The mirror is superflat and does not deviate from its surface quality by more than one nanometre, or a billionth of a metre. 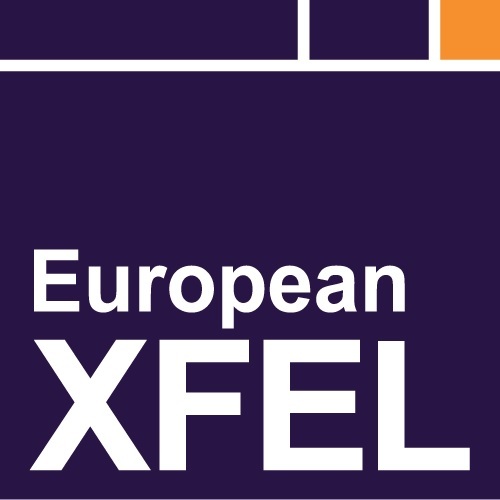 It is the first of several of its kind needed for the European XFEL. Each will be essential to the facility’s operation, enabling scientists from around the globe to reliably use the world’s brightest X-ray laser light for research into ultrafast chemical processes, complex molecular structures, and extreme states of matter. The precision of the European XFEL mirror is equivalent to a 40-km long road not having any bumps larger than the width of a hair. The mirror’s production is the culmination of a long research and development process involving several institutes and companies in Japan, France, Italy, and Germany. The mirror body, with a 95 cm long and 5.2 cm wide reflective face, is made from a single crystal of silicon that was crafted by industrial partners in France and Italy. 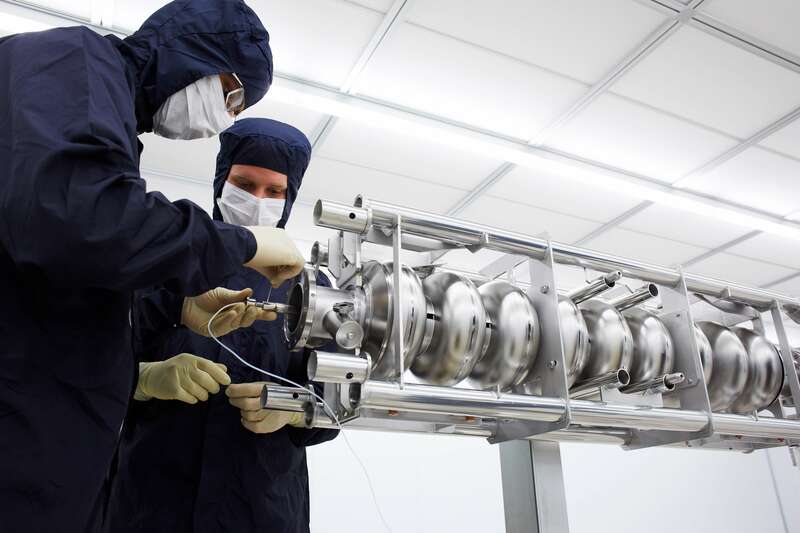 In order to polish a mirror of the required length to European XFEL’s nanometre specification, the optics company JTEC in Osaka, Japan, used a new polishing method using a pressurized fluid bath capable of stripping atom-thick layers off of the crystal. This development required the construction of a brand-new facility that would be able to meet the exceptional demands from the European XFEL, while also expanding the company’s ability to serve other, similar facilities, such as the LCLS in the U.S. and SwissFEL in Switzerland. The polishing technique alone took nearly a year to develop to a point where the extreme quality could be reached. The mirrors have to be so precise because of the laser properties of the X-rays at the European XFEL. These properties are essential to clearly image matter at the atomic level. Previously, European XFEL simulations had shown that any distortions in the mirrors greater than one nanometre would cause the properties of the laser spot on the sample to be degraded. Mirrors of this series will be used to deflect the X-rays by up to a few tenths of a degree into the European XFEL’s six scientific instruments in its underground experiment hall in the town of Schenefeld. This is done because the instruments, which are parallel to each other, will eventually be able to operate in parallel, enabling scientists to have greater access to the facility and its unique X-ray light. Additionally, similar mirrors will focus the X-ray light within some of the facility’s instruments. However, the particular mirror that was delivered is needed for filtering the light generated by the facility to only the kind needed for experiments. Within the European XFEL’s X-ray laser light-generating structures, called undulators, some undesirable wavelengths of light are produced. A set of these superflat mirrors will be arranged after each undulator in the facility’s underground tunnels, and the position of each mirror allows for only the desired wavelength of laser light to continue towards the experiment hall. The undesirable wavelengths of light are more energetic and pass through the mirror instead of reflecting, ending up in an adjacent absorber made of boron carbide and tungsten. 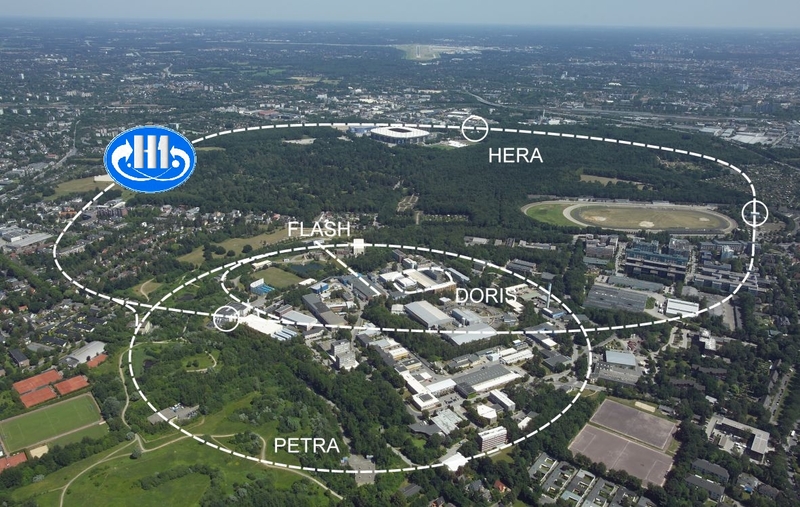 The mirror will now be measured at European XFEL and Helmholtz Zentrum Berlin for additional verification of its specifications. 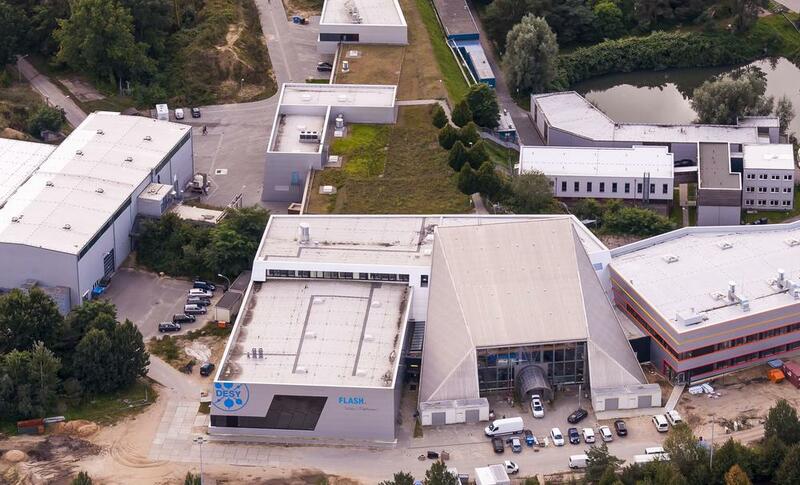 Three more mirrors of the same type are due to arrive at European XFEL in May. Construction begins today on a major upgrade to a unique X-ray laser at the Department of Energy’s SLAC National Accelerator Laboratory. The project will add a second X-ray laser beam that’s 10,000 times brighter, on average, than the first one and fires 8,000 times faster, up to a million pulses per second. 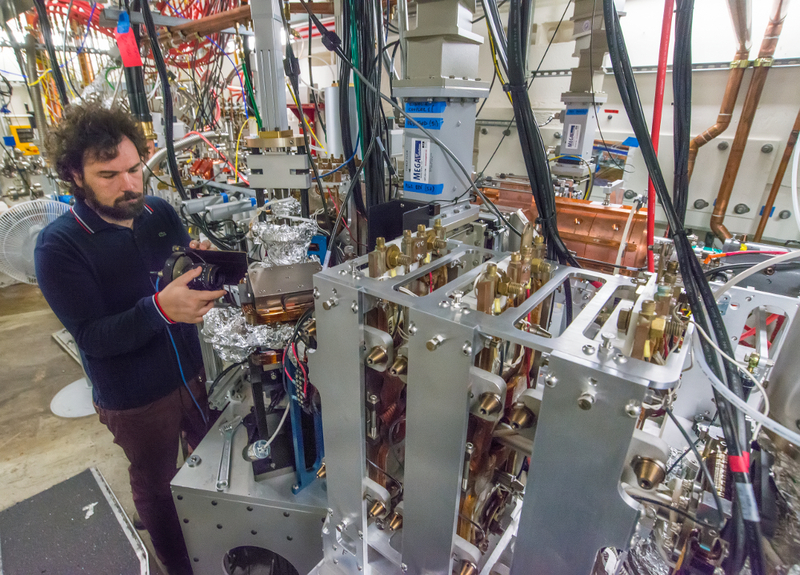 The project, known as LCLS-II, will greatly increase the power and capacity of SLAC’s Linac Coherent Light Source (LCLS) for experiments that sharpen our view of how nature works on the atomic level and on ultrafast timescales. “LCLS-II will take X-ray science to the next level, opening the door to a whole new range of studies of the ultrafast and ultrasmall,” said LCLS Director Mike Dunne. When LCLS opened six years ago as a DOE Office of Science User Facility, it was the first light source of its kind – a unique X-ray microscope that uses the brightest and fastest X-ray pulses ever made to provide unprecedented details of the atomic world. Hundreds of scientists use LCLS each year to catch a glimpse of nature’s fundamental processes in unprecedented detail. Molecular movies reveal how chemical bonds form and break; ultrafast snapshots capture electric charges as they rapidly rearrange in materials and change their properties; and sharp 3-D images of disease-related proteins provide atomic-level details that could hold the key for discovering potential cures. 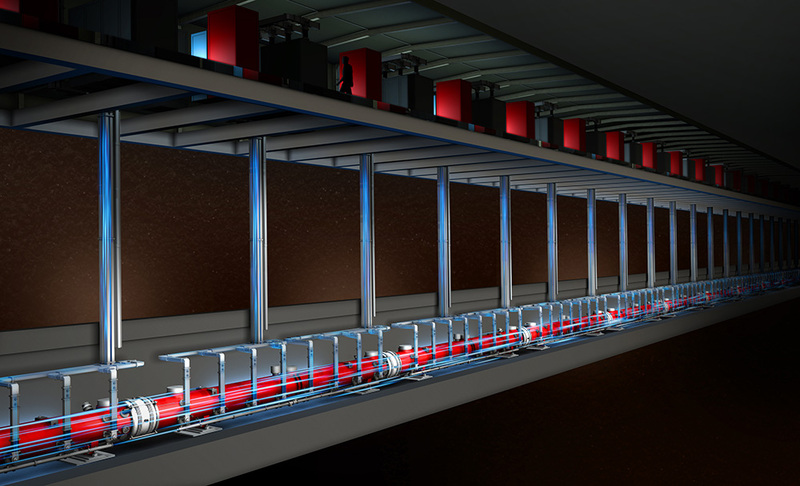 The new X-ray laser will work in parallel with the existing one, with each occupying one-third of SLAC’s 2-mile-long linear accelerator tunnel. Together they will allow researchers to make observations over a wider energy range, capture detailed snapshots of rapid processes, probe delicate samples that are beyond the reach of other light sources and gather more data in less time, thus greatly increasing the number of experiments that can be performed at this pioneering facility. Like the existing facility, LCLS-II will use electrons accelerated to nearly the speed of light to generate beams of extremely bright X-ray laser light. The electrons fly through a series of magnets, called an undulator, that forces them to travel a zigzag path and give off energy in the form of X-rays. But the way those electrons are accelerated will be quite different, and give LCLS-II much different capabilities. At present, electrons are accelerated down a copper pipe that operates at room temperature and allows the generation of 120 X-ray laser pulses per second. For LCLS-II, crews will install a superconducting accelerator. It’s called “superconducting” because its niobium metal cavities conduct electricity with nearly zero loss when chilled to minus 456 degrees Fahrenheit. Accelerating electrons through a series of these cavities allows the generation of an almost continuous X-ray laser beam with pulses that are 10,000 times brighter, on average, than those of LCLS and arrive up to a million times per second. 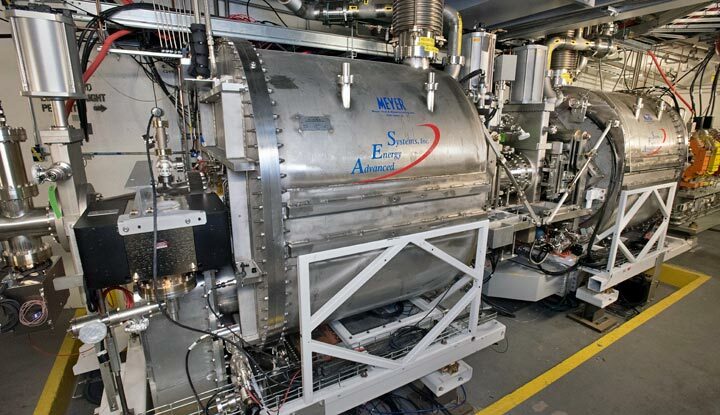 In addition to a new accelerator, LCLS-II requires a number of other cutting-edge components, including a new electron source, two powerful cryoplants that produce refrigerant for the niobium structures, and two new undulators to generate X-rays. To make this major upgrade a reality, SLAC has teamed up with four other national labs – Argonne, Berkeley Lab, Fermilab and Jefferson Lab – and Cornell University, with each partner making key contributions to project planning as well as to component design, acquisition and construction. With favorable “Critical Decisions 2 and 3 (CD-2/3)” in March, DOE has formally approved construction of the $1 billion project, which is being funded by DOE’s Office of Science. SLAC is now clearing out the first third of the linac to make room for the superconducting accelerator, which is scheduled to begin operations in the early 2020s. In the meantime, LCLS will continue to serve the X-ray science community, except for a construction-related, six-month downtime in 2017 and a 12-month shutdown extending from 2018 into 2019. With the upgrades that are now moving forward, Dunne said, SLAC will have an X-ray laser facility that will enable groundbreaking research for years to come.